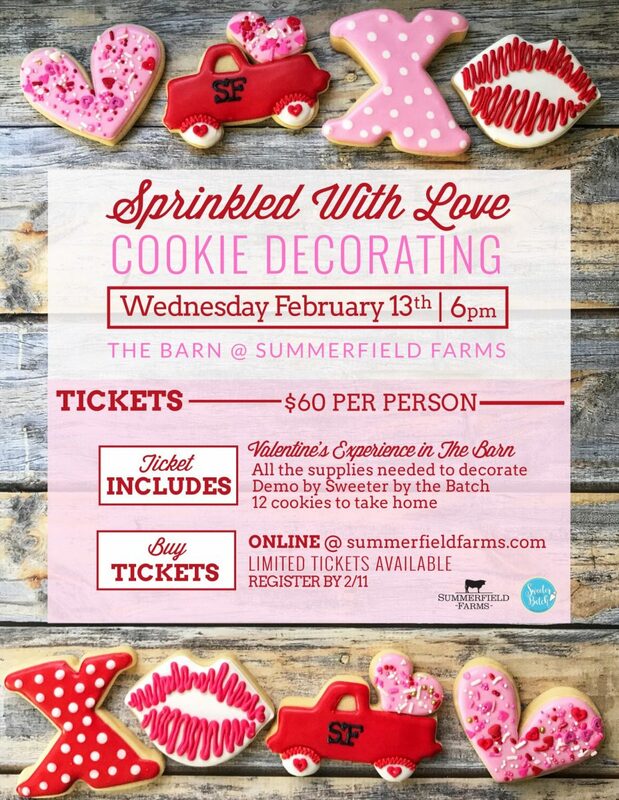 Grab your best gals to celebrate gal-entines in The Barn at Summerfield Farms with a fun evening of cookie decorating, champagne or wine, and snacks!! Your ticket includes a demo by the amazing ladies from Sweeter by The Batch and 12 Valentine’s themed cookies to decorate & devour! All of this amazing-ness will take place inside The Barn, which is Summerfield Farms’ premier event venue. Wine, champagne & snacks will be available for purchase at an exclusive bar setup inside The Barn just for the class. Text your mom, best friend, sister, or any special person in your life and plan a FUN afternoon out at the farm! *This event is only for those 21 and over.